Paper Dolls – buy Doodle Dolls book to make and design your own! 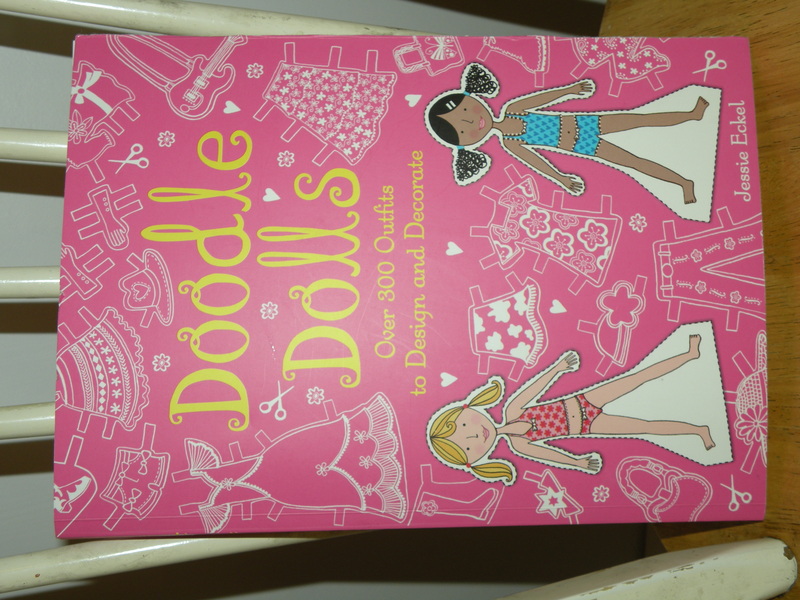 Grandma brought a new book called Doodle Dolls with her for her last visit! As soon as I saw it I knew it was something Emily would love. 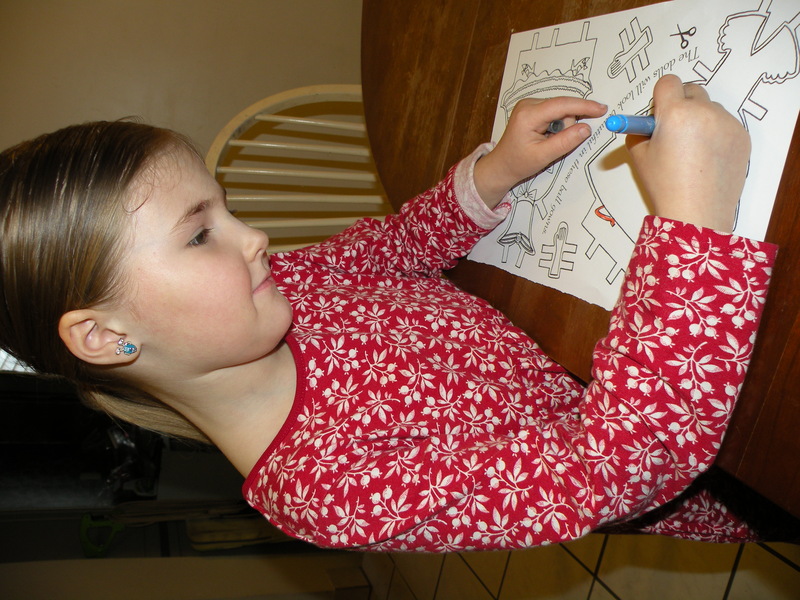 Not only is she artistic to the core, even at age 5 she has this “fashion sense” about her. Paper dolls (especially make your own paper dolls) would be perfect. 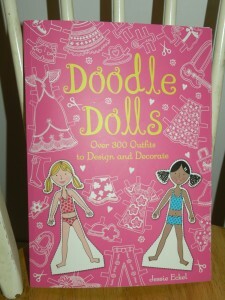 Doodle Dolls comes with 2 paper dolls and over 300 outfits. Each outfit is printed on both sides. (I didn’t count to see if that meant 150 or 300 separate cut-outs.) 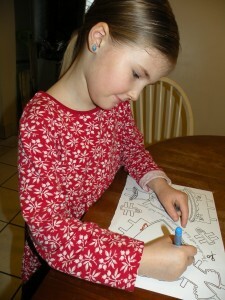 The clothes are themed by page with everything from princess to pajamas. With so many clothes to work with, I’m thinking that Emily will make paper dolls and outfits to her heart’s content, easily spending many hours doing it. (Can you say, “Play Value?”) She takes her time and puts creativity into each outfit, so, as I suspected, these are “just perfect” for her. The only thing I didn’t like about the book was that the pages were not perforated, so getting a sheet out was a “mom job”. 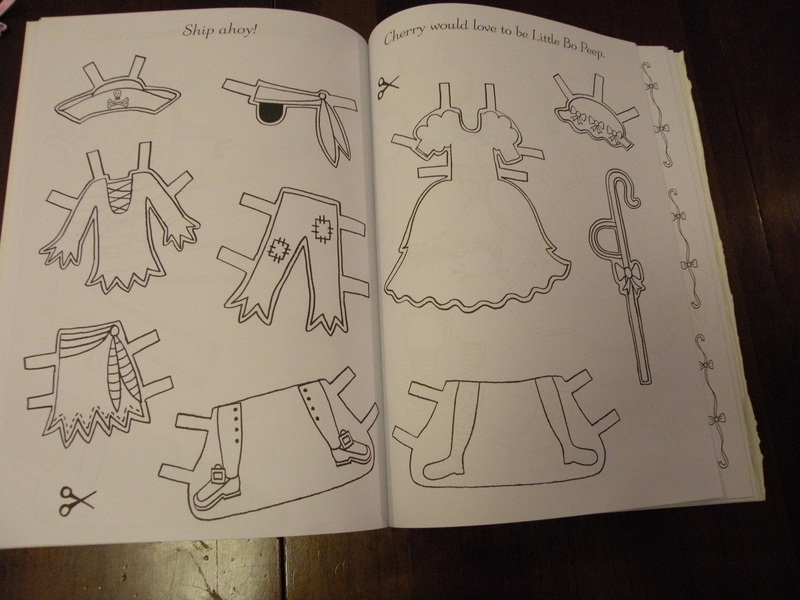 Grandma had the excellent idea of tracing a paper doll inside the cover, so that if the girls loose the 2 paper dolls that were included with the book, they can just trace a new one onto card stock. Also, I can see where laminating the paper dolls would help them not wear out before their outfits! My 5 year old is not up to all of the cutting yet, but thankfully I enjoy that type of thing! They will clean up very nicely into a ziploc bag, one of my favorite organizational tools! If you are looking to buy a book full of all sorts of wonderful paper dolls outfits to decorate yourself, this book is worth looking into. With a list price of $12.95, Amazon’s price (and free shipping) is hard to beat! 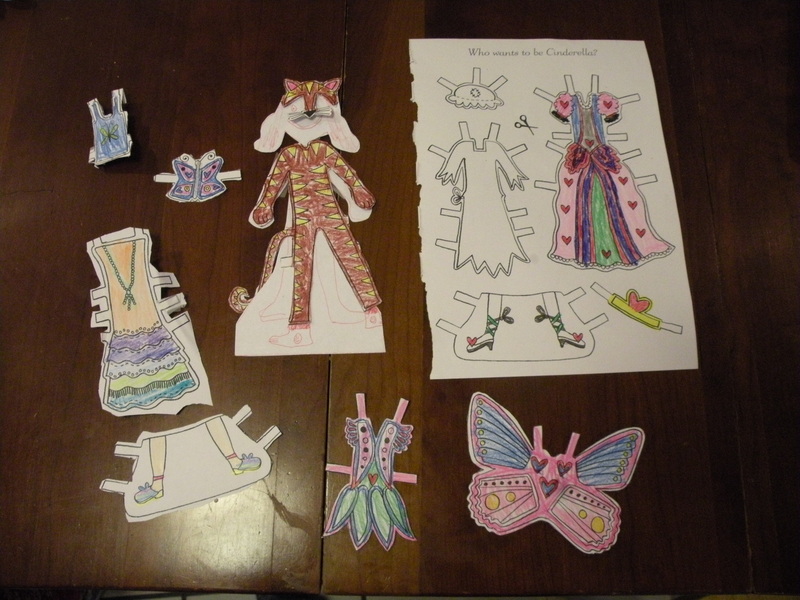 This entry was posted in Kids Products and tagged Crafts, Emily, Paper Dolls. Bookmark the permalink.